Sport 927 is an online based radio station broadcast from Melbourne, Australia providing horse and greyhound racing and live coverage of sports. It provides Talks Sport and Sports News from Australia. The station has produced fresh information on video covering all aspects of the season’s feature racing events at a Sport 927 Spring TV page. Racing Victoria Limited is the owner of this station. Sport 927 has expanded its Melbourne spring carnival racing coverage beyond radio audiences with an online video navigation bar for visitors to its “sports 927.com.au website”. RSN Racing & Sport (formerly Radio Sports National) is one of Australia’s leading producers and providers of racing, wagering, and sport program content. RSN broadcasts in analog 927AM and digital throughout Melbourne and across regional Victoria. Whatever the listening platform, tune to RSN to enjoy the most creative, innovative, relevant racing and sports content experience. The leading Racing and Sport radio station based in Melbourne, Australia and began to air in March 1925, was known as Radio Sport National. It broadcast live on 927 AM and digital around regional Victoria. 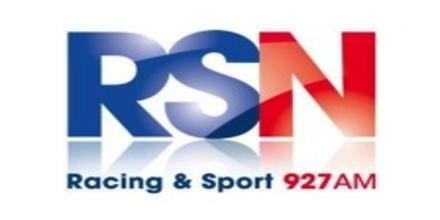 RSN Racing & Sport (ACMA callsign: 3UZ) is an Australian radio station in Australia. Owned and operated by thoroughbred, harness, and greyhound racing bodies of Victoria, it broadcasts a sports radio format to Melbourne and too much of Victoria through various repeater stations. First broadcast as 3UZ on 8 March 1925, it was in 1986 sold to the state’s racing bodies. Today, the majority of the station’s programming is dedicated to coverage of thoroughbred, harness and greyhound racing. Main Programs – RSN Racing and Sport is one of Australia’s leading producers and providers of racing, wagering, and sports program content. Nightmoves, Sports Talk National, Escape, Casting Off, Prime Time Racing, Prime Time Sports, Racing Central, The Bowls Show, The Family Counsellor, The National Racing Service, The Right Track, The Thoroughbred etc. David C Mccrork, Richard Fennell, Megan Currie, Ric Lazaridis, Tony Jones, Michael Christian, Shane Anderson. Social contact: Facebook, Twitter, YouTube, Website. 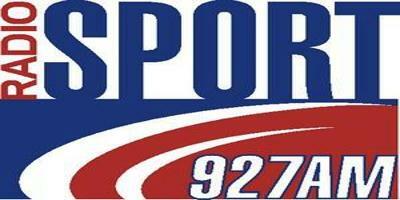 Liveonlineradio.net has Sport 927 in its listings. Just click and enjoy.